Love Football Sundays, but Hate Dressing like One of the Guys? 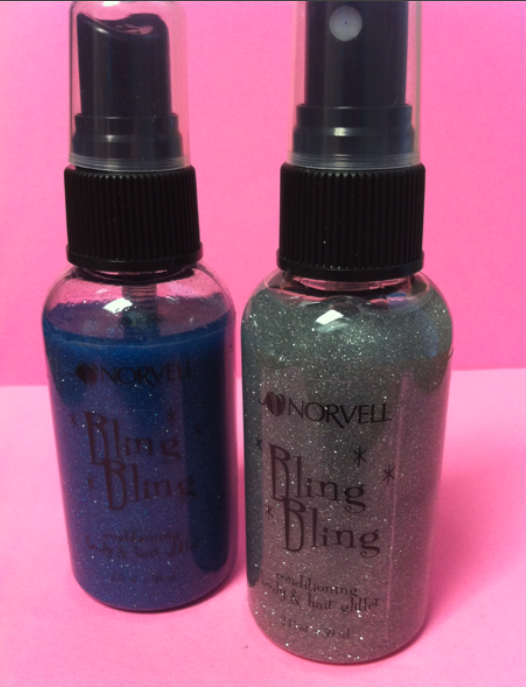 Bling Bling blue and silver glitter sprays to glam up my Sunday wardrobe. I liked the way the mist added just a touch of girly shimmer to whatever I sprayed it on…One week day, I sprayed a little on my arms, hair, and black shirt and started getting compliments immediately after doing so. 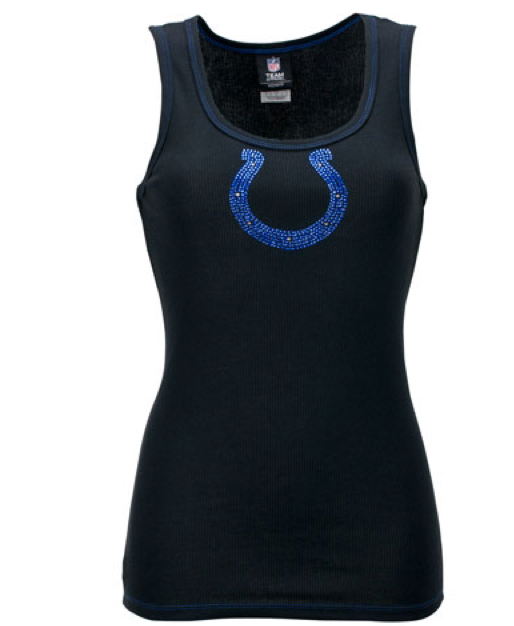 I decided I would make this part of my wardrobe on game day and even took it a step further and purchased a few embellished Colts shirts to match. I was so relieved to finally watch a football game feeling feminine, cute, and sporty all at the same time! And no worries, I haven’t hung up my #18 jersey for good…it’s just not the first thing I reach for on game days anymore!